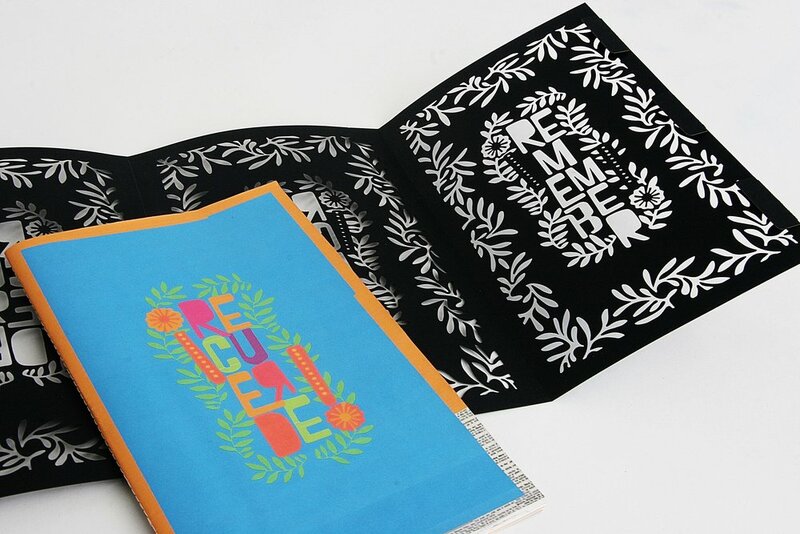 RECUERDE // REMEMBER is a tribute to life designed in the stylings of el Dia De Los Muertos, the Mexican Day of the Dead. 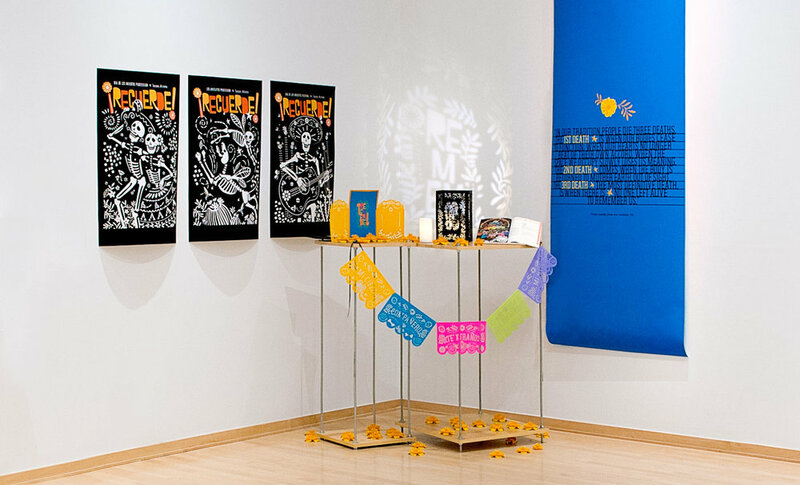 A venerated holiday celebrated in Arizona (and around the world) by Mexicans and Americans alike, el Dia De Los Muertos beckons the departed back with vivid colors, symbolism and iconography that celebrates their vibrant lives. This kit teaches the folklore, craft and customs necessary to create your own homage to a departed loved one in an ornate and colorful way. A ready-made altar becomes a customized invitation that beckons a return to our world to celebrate their life.